Some people see ghosts. 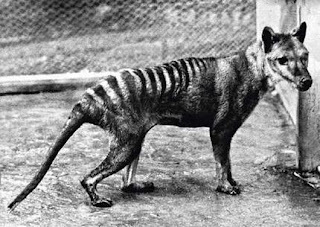 The Thylacine I seen moved through the bush without disturbing a fern, silently, swiftly disappearing out of sight, yet no more than 10mtrs away. Having never seen a ghost I have no prejudice to what a ghost actually looks like, so to me, it was a ghost. A ghost of a cryptid? Why not? Maybe it was a ghost. Or maybe they've mastered the art of moving silently.